Textsurfer Classic Highlighter contains lightfast, fast-drying, smearproof pigment ink. Ideal for use on paper, fax and carbonless paper. Will not smudge inkjet printouts. Easily washable from most textiles. Design includes a polypropylene barrel and cap. Snap-lock cap includes convenient pocket clip. 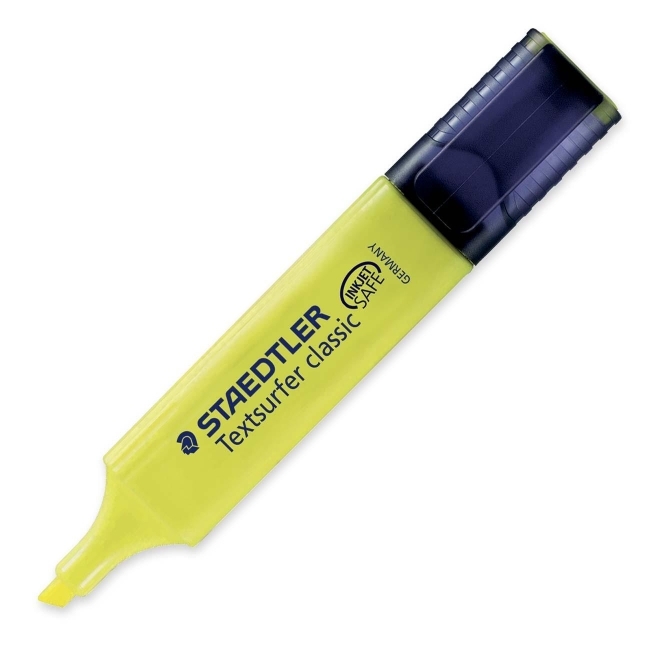 Highlighter has a wear-resistant, ultra-soft 1.5mm chisel tip.